2013 was a busy year with quite a bit of running and several new experiences. After this morning’s run, I have logged 835.12 miles total for the year and participated in 29 total events this year! And I did all of this despite being injured for a portion of the year, and also battling a very hot summer here in Memphis. I earned some great bling, tried new races, and achieved multiple PR’s. I also hosted my first event, the Platinum Sombrero 5K, which helped me raise money for St. Jude Children’s Research Hospital, and gain a couple of new friends from the endeavor as well. This post, if I write in great detail about each event and experience would be several thousand words long, and I am not going to do that to you. Rather, I am going to do more of a Cliff’s Notes version of the year here with a monthly breakdown. 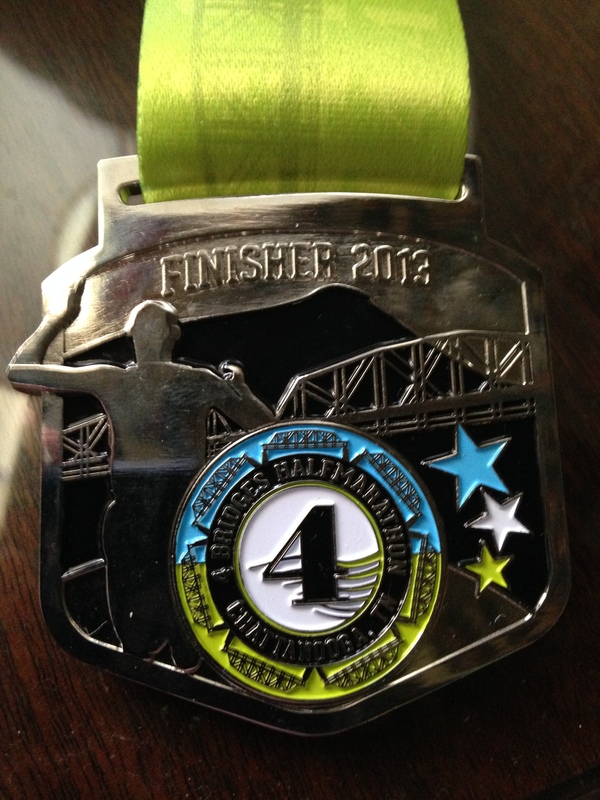 For in-depth descriptions of my races from the year, you may visit the 2013 page in my blog and click on each race recap. Enjoy! 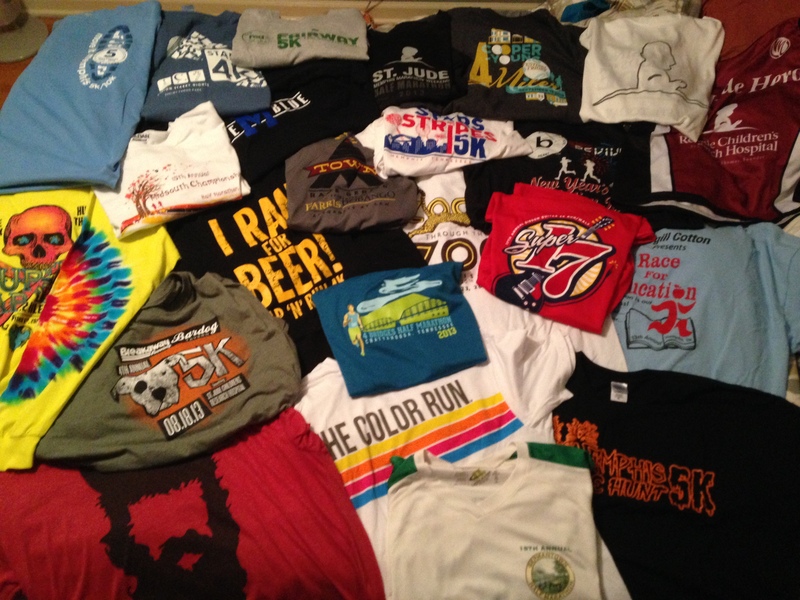 This is every race shirt that I received in 2013! January: 1 Race (Virtual 5K), 81.59 Miles. 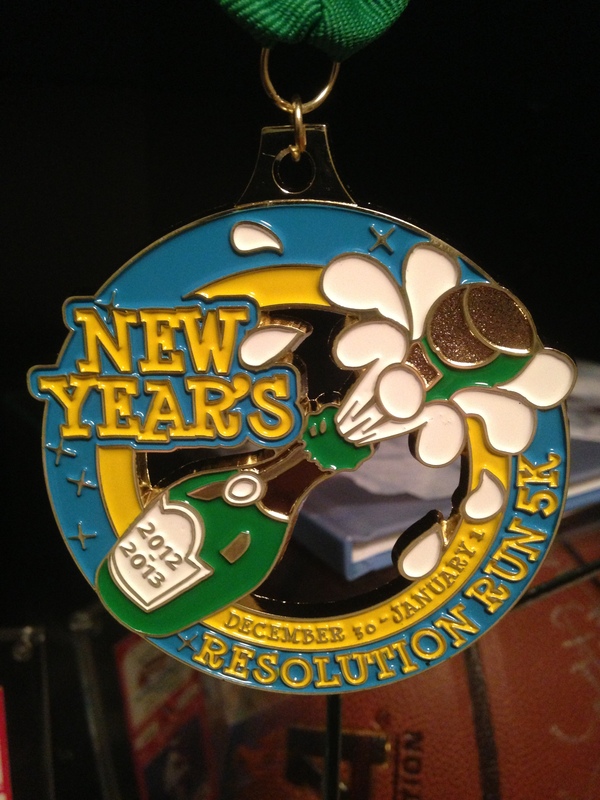 The year started off with my first virtual 5K. It was the Resolution Run and the proceeds went to the Hole in the Wall Gang and started my year off right. 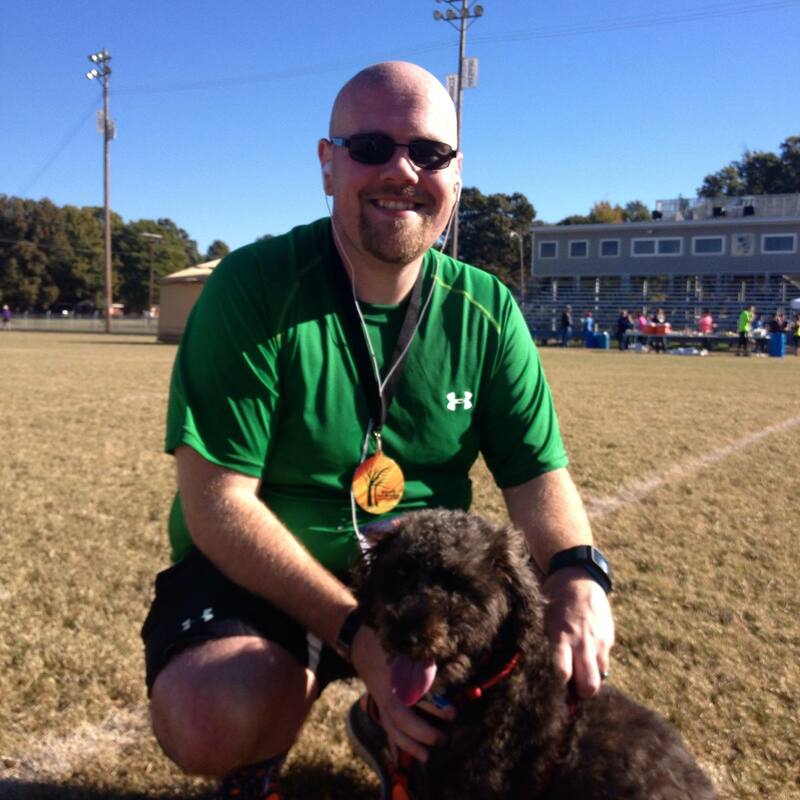 I ran no local races since I could not work them into my schedule, but I did run a race. 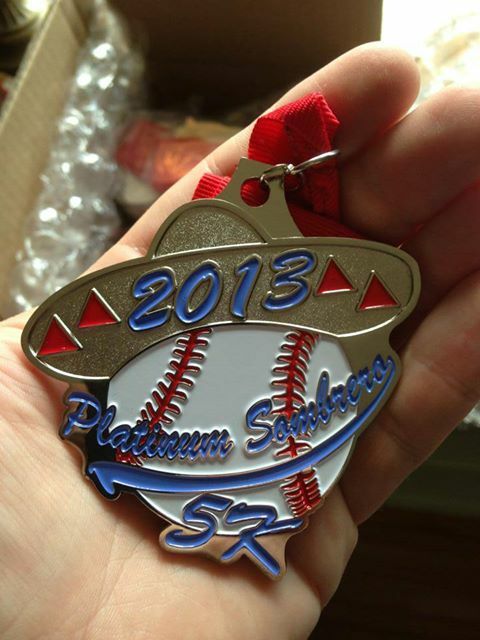 This was one of the better medals that I received in 2013. February: 2 Races (1 Virtual 5K & My 1st 10K), 65.52 Miles. I started February with another virtual 5K, the Chilly Cheeks 5K. This event actually netted me a PR at the 5K distance with an elapsed time of 26:30. Of course, this is an unofficial time, so hopefully I will eclipse that time in an event this year to remove any ambiguity. My 10K was the Move It Memphis 10K, and since this was my first 10K, it was an automatic PR. It was a great event and one that I will run again in the future, just not this year since I have another event happening this weekend in 2014. 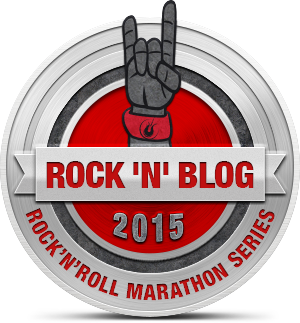 March: 1 Race (HalfMarathon 5K), 18.61 Miles. 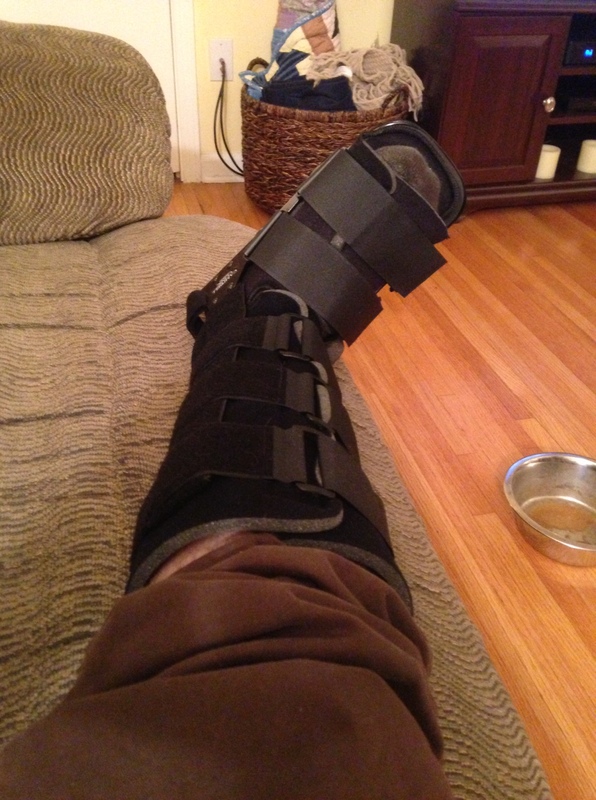 This is the month that I was diagnosed with peroneal tendonitis in my right foot. This occurred two weeks before I was supposed to run in the Germantown Half Marathon, so obviously that did not happen. I did, however, walk the 5K associated with the event in my walking boot. This caused a few second takes as I limped through the course. 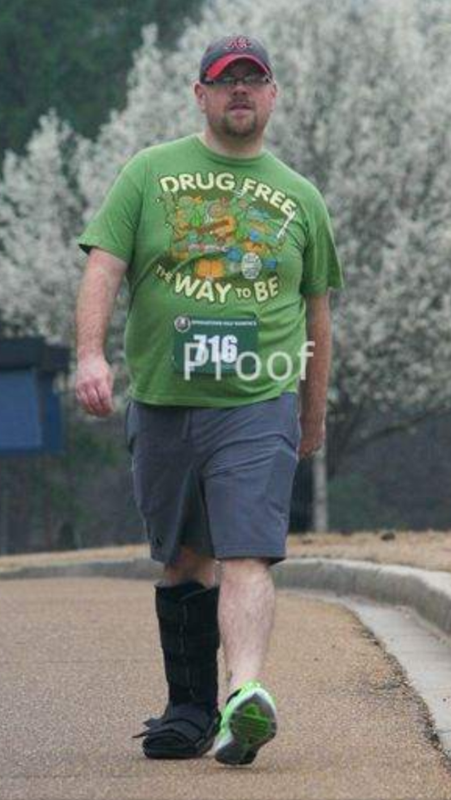 This is me limping through the course in my walking boot. 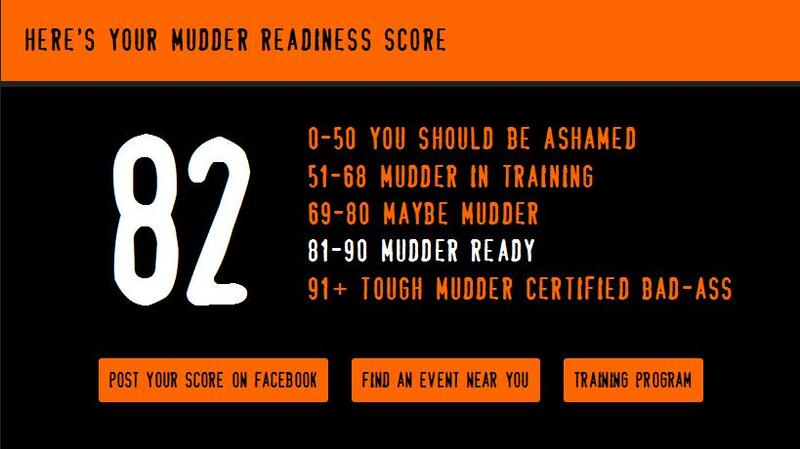 April: 2 Races (1 5K & My First Mud Run), 34.64 Miles. I was making the slow recovery from my injury throughout the month, but I was able to run a 5K, the FedEx St. Jude Classic Fairway 5K, hosted at TPC Southwind here in Memphis as well as my first Warrior Dash. 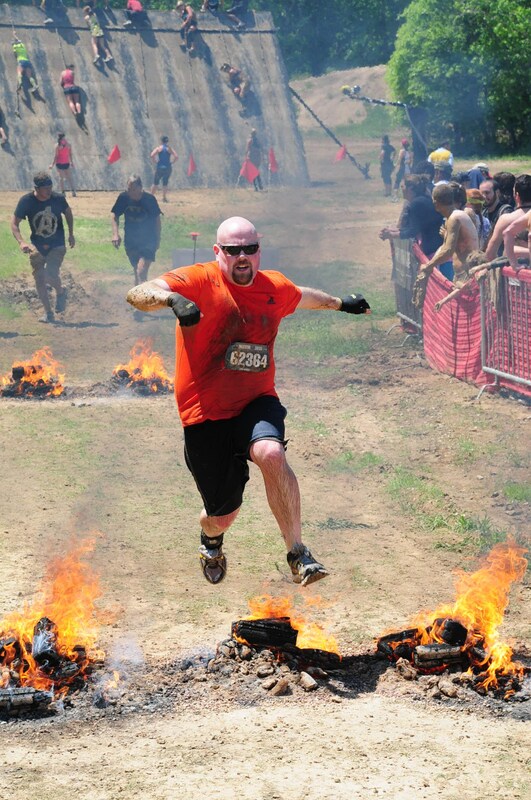 Warrior Dash was quite a bit of fun, and a nice diversion from your typical race. Both events showed a nice bounce back for me from my injury. 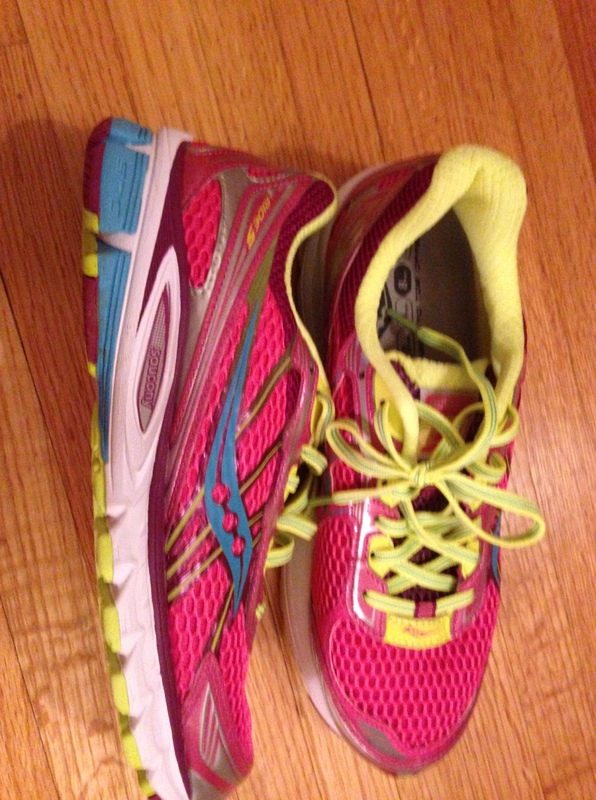 May: 2 Races (1 Virtual 5K, 1 4 Miler), 49.71 Miles. My virtual run was the May the Fourth Be With You 5K, which I obviously ran on May 4. The nerd in me made me run this race. My 4 miler was the Zoom Through the Zoo event, which benefits the wonderful zoo here in Memphis. It was not my favorite event, but it did lead me to begin using Lock Laces, which was a positive development for my running. Susan and I also traveled to Arlington, TX for her graduation from graduate school. It was a great trip and I got some In-N-Out Burger from it as well! June: 2 Races (1 5K & A Virtual Week Long Marathon), 75.56. My 5K was the third race in the M-Town Series (I did not run in the second one due to travel) called the Gibson 5K. It was a hot run, but it was worth it. The virtual marathon was for the One Fund for the victims of the Boston Marathon bombing and required that participants run 26.2 miles over the course of the week. It was a nice training tool for me and benefited a great cause. 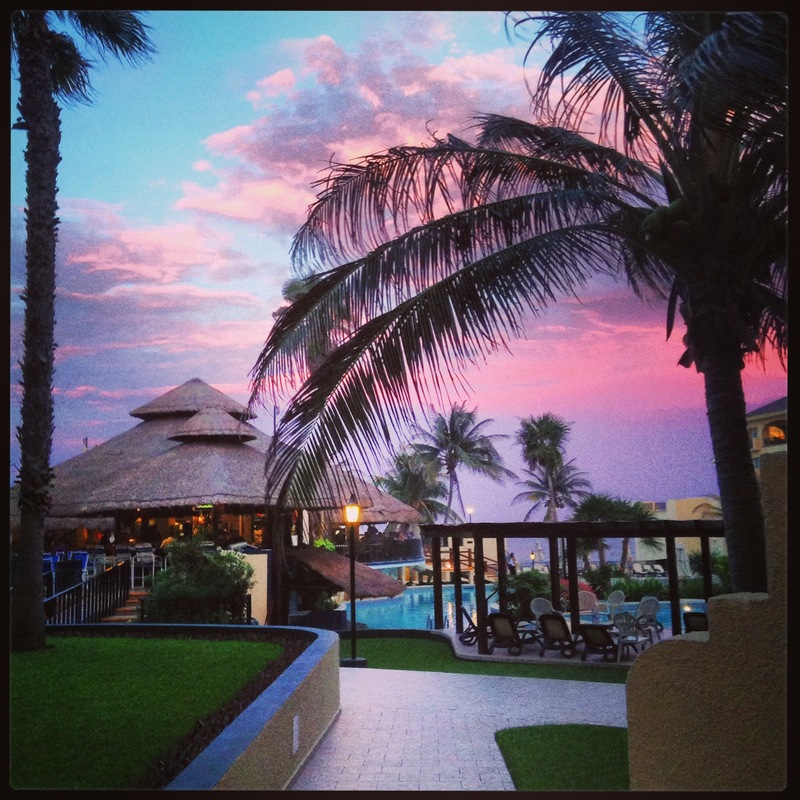 I also spent a week Cancun, Mexico, which is always a great thing. And I even kept my running streak active for the entire week that I was there. 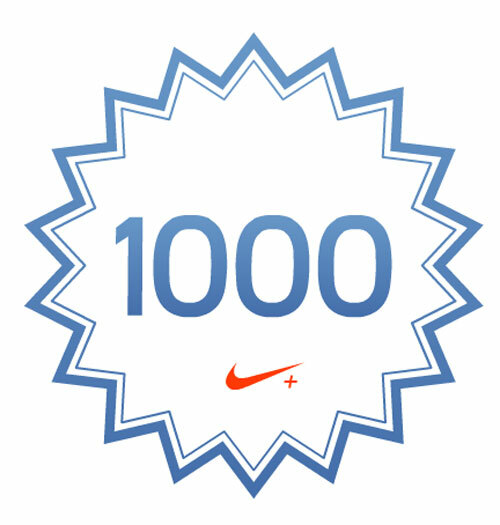 July: 4 Races (1 5K, 2 Virtual 5K’s, including my 1st hosted event, & 1 virtual 10K), 89.33. This was the most running that I had ever done in a month up to this point, and I earned quite a few good-looking medals. I ran in the Stars and Stripes 5K here in Memphis, the Captain America 5K, First Avenger 10K, and Platinum Sombrero 5K. All three of the virtual runs benefited St. Jude and my personal event netted $734 for St. Jude! 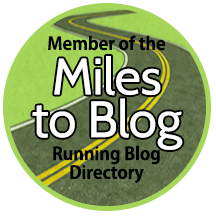 August: 3 Races (1 5K, 1 Virtual 5K, 1 Virtual Half Marathon), 77.11. 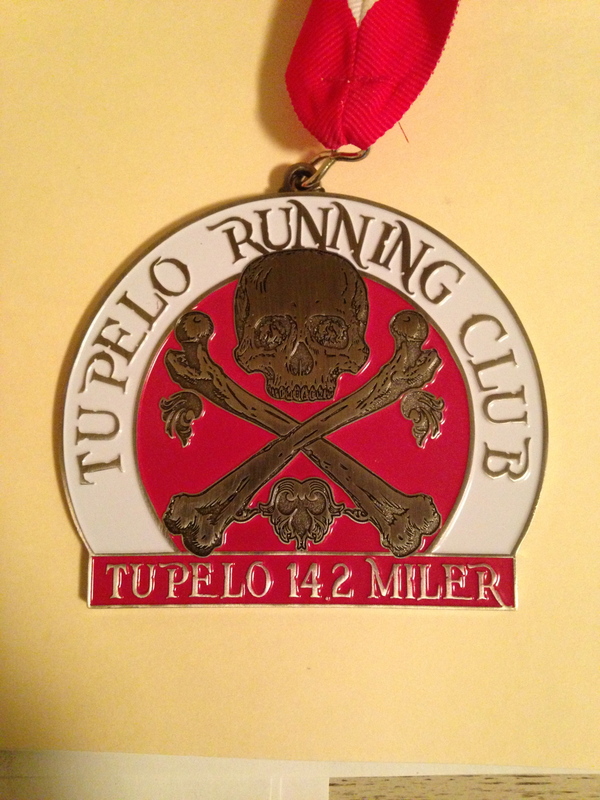 The hottest month of the year and I was thankful for the taper that came before the Tupelo 14.2 in September. My 5K was the Bardog 5K here in Memphis, the virtual 5K was the Jedi Challenge (another Star Wars run? 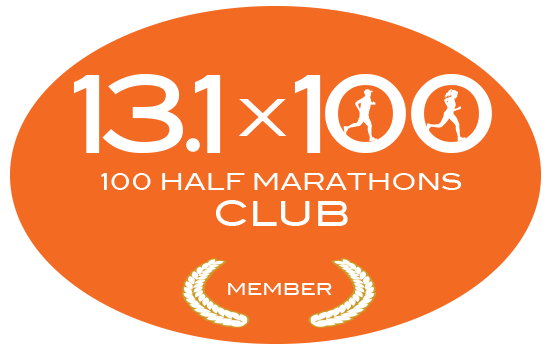 ), and the virtual half marathon was The Walking Dead 13.1, which had a neat, but small medal. I used the virtual half as my last long training run before my taper. 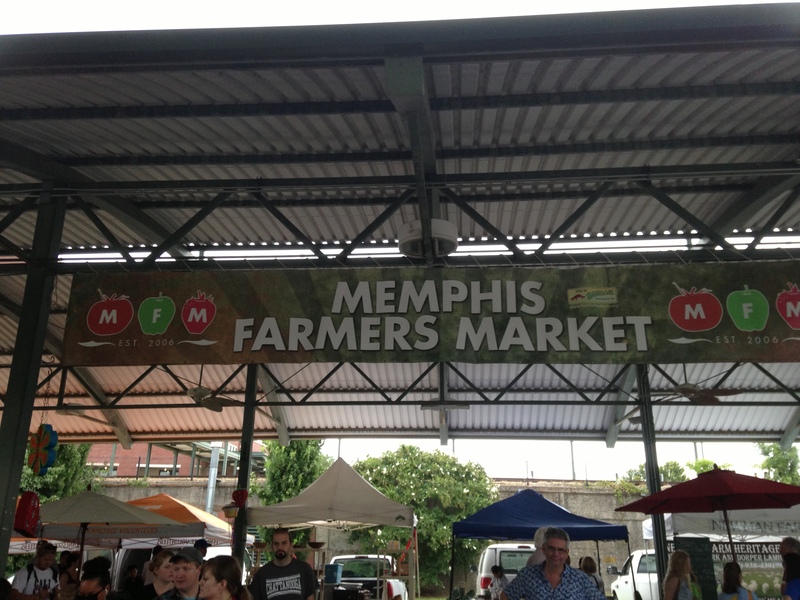 Susan and I also discovered the greatness that is the Memphis Farmers Market, which became a weekend staple for us throughout the rest of the year. And I returned to the University of Memphis to obtain my MPA. September: 3 Races (1 14.2 Miler, 1 4 Miler, 1 Virtual Half Marathon), 82.37 Miles. The first day of the month saw me run the longest distance of my career up to that point in the very hot and humid Tupelo 14.2 Miler. The event is known for their medals, and they did not disappoint again this year. My four miler was the Cooper Young Festival 4 Miler, which saw me shave over four minutes off of my PR for the distance and my virtual half, the Heroes in a Half Shell Challenge (Teenage Ninja Turtles theme) was another great training run excuse. October: 4 Races (1 4K, 2 5K’s, 1 Half Marathon), 80.09 Miles. I ran two events in one day, the Tap N Run Memphis event and Zombie Hunt 5K, both in the Memphis area, but with drastically different weather events. The first race was very hot and the second one saw some rain. The half marathon was the 4 Bridges Half Marathon in Chattanooga, TN, and despite a chip malfunction, I set a PR but nearly five minutes! It was a fun event and the trip out-of-town served as a nice anniversary trip for Susan and me. I ended the month with my first ever Color Run, an event in which I was an ambassador. November: 3 Races (2 5K’s & 1 Half Marathon), 100.54 Miles. I ran all three races over the first three days of the month, which is a great test of endurance. 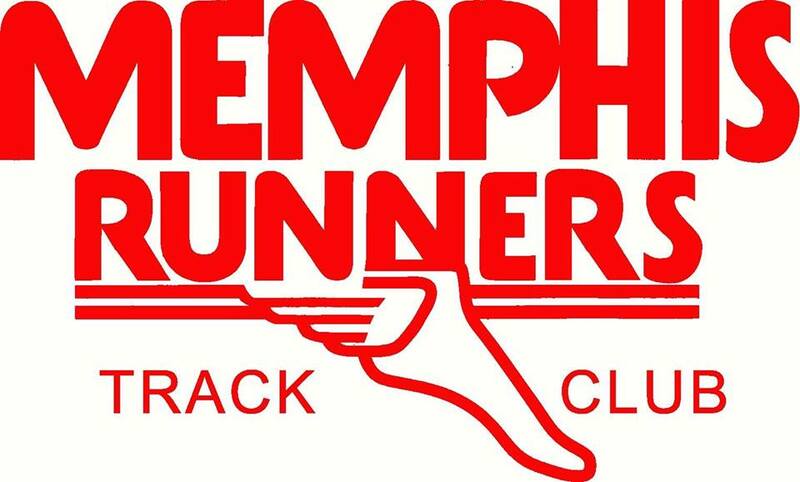 My first 5K was my fourth True Blue 5K at the University of Memphis, which is my anniversary run, the half marathon was the Midsouth Championship Half Marathon in Wynne, AR, and the second 5K was the SCS Race For Education here in Memphis, but was actually just short of a 5K. The half marathon was the cheapest ($27) that I have ever run, and was my second fastest half marathon ever! Plus, Susan and Beau surprised me at the finish line. This race qualified me for Neptune status in the Half Fanatics, which was cool. 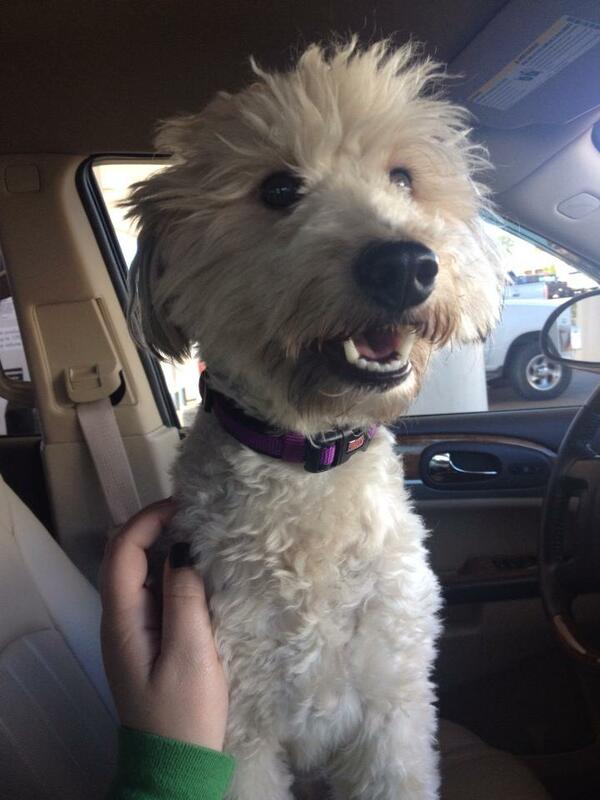 November also saw another addition to our family when Susan and I adopted Molly. 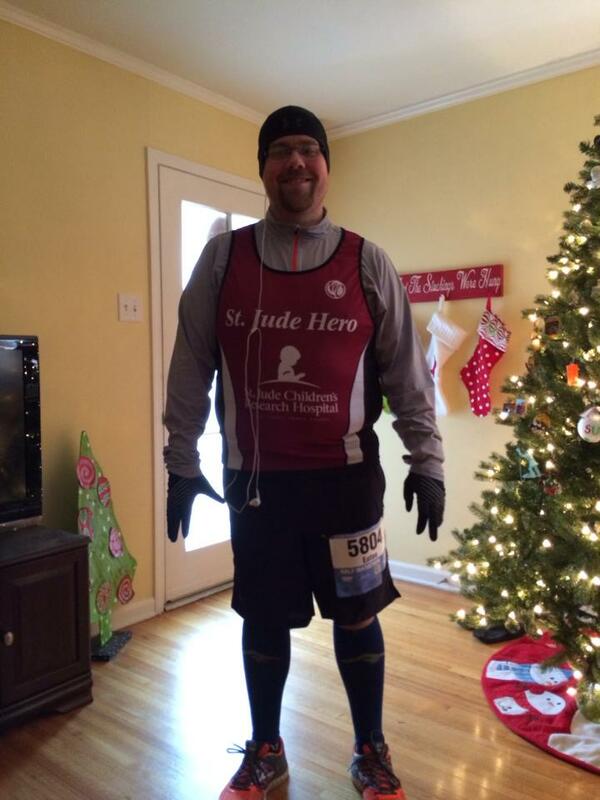 December: 2 Races [1 Half Marathon (Canceled, But I Ran Anyway) & 1 4K], 80.05 Miles. December was supposed to see me run my third consecutive St. Jude Memphis Half Marathon, but due to the cold and ice, the event was canceled. 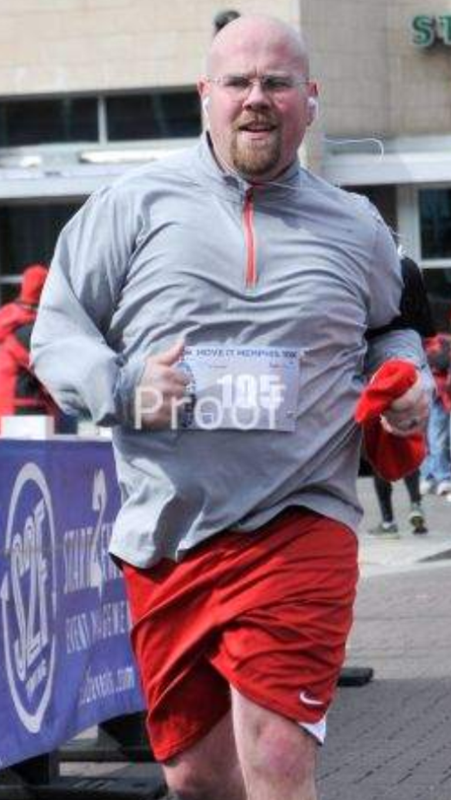 I decided to run the event anyway, as did several other fellow runners throughout Memphis. I ran in the Starry 4K a couple of days ago just to guarantee my monthly race running streak. 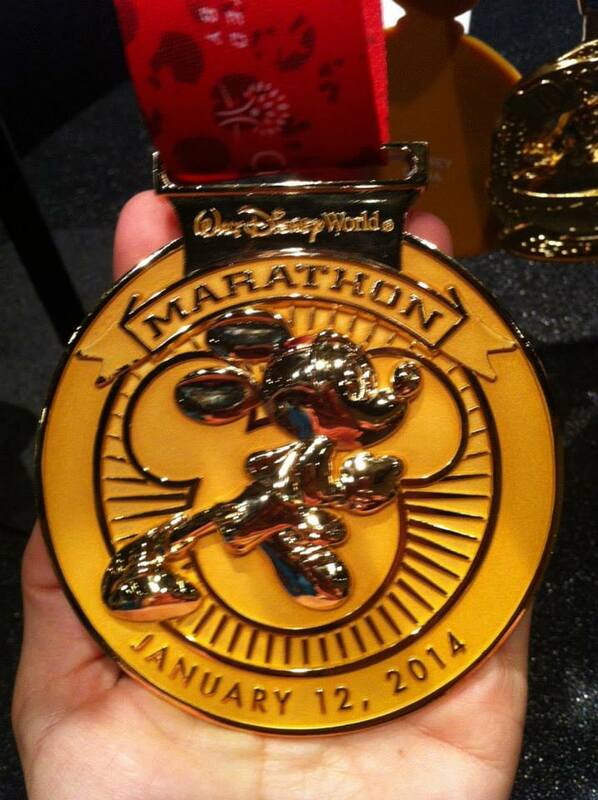 My first semester in grad school ended with a 4.0 and I am now ending the month with my taper for the WDW Marathon. This was me as I was about to head out for my 13.1! All and all, 2013 was a very eventful year, both for my running and life in general. I am looking forward to next year being an even bigger and more eventful year. I have been having some issues with blisters on the outside of my big toes, especially on my right foot. I have had some issues in the past, but the current issue is directly correlated with one pair of shoes, my Saucony Triumph 10’s. I at first thought that the issue was because I was trying to break in the shoes, but I now have over 100 miles in the shoes, so they should be sufficiently broken in. When I wear my Brooks Glycerin 11’s, I have no issues. The problem arises after roughly four miles of running, and progressively gets worse from there. The issue has gotten so bad at this point that I do not have a blister on my right big toe, but rather a callus. My first inclination for the cause of the friction was the type of socks that I was wearing. I have some cotton socks that I wear on occasion, but that is very rare, and honestly, I probably wear them more often with my Brooks. I have completely eliminated that over the past few weeks, and the problem has not subsided. I have also tried covering up my hotspot with a band-aid, which helped delay the issue, not solve it. I have also started to apply Run Guard to my foot, the inside of the sock, outside of the sock, and interior of my shoe to help eliminate the issue. This has provided some relief, but not much. I talked to some of the experts over at Kindrunner and they relayed to me that they have received some similar complaints from other customers. They seem to believe that there is a piece of fabric in the toe box that causes the extra friction. After inspecting the shoes further, that seems highly plausible. I was also recommended to try a sock from Feetures, which I will be purchasing sometime this week. Also, I wear a size 10.5 in my normal shoes, but in running shoes I wear an 11.5. If I continue wearing shoes in the Triumph line, I will probably bump my size up to 12 or go with a wide variety since they are tighter on my foot than the Brooks. This also might be contributing to my issues. I am a supinator, and the selection of shoes available for me is slim. 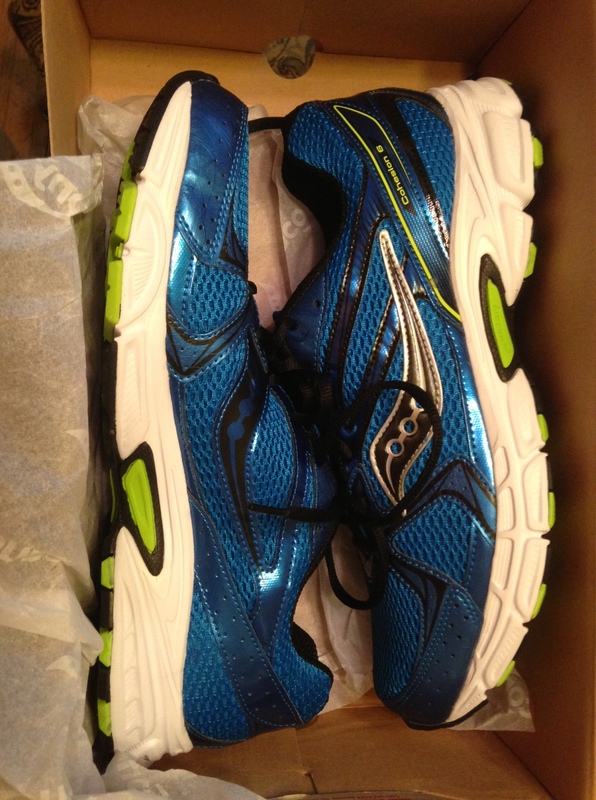 Add in the fact that I am a heavier runner than most, finding a reliable and durable shoe is quite a chore. 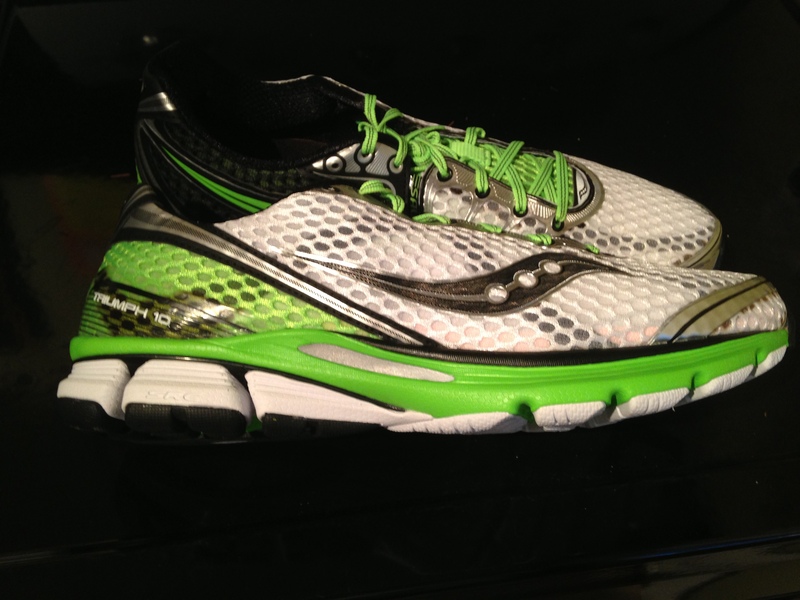 Hopefully I can work out the issues with the Saucony Triumph. 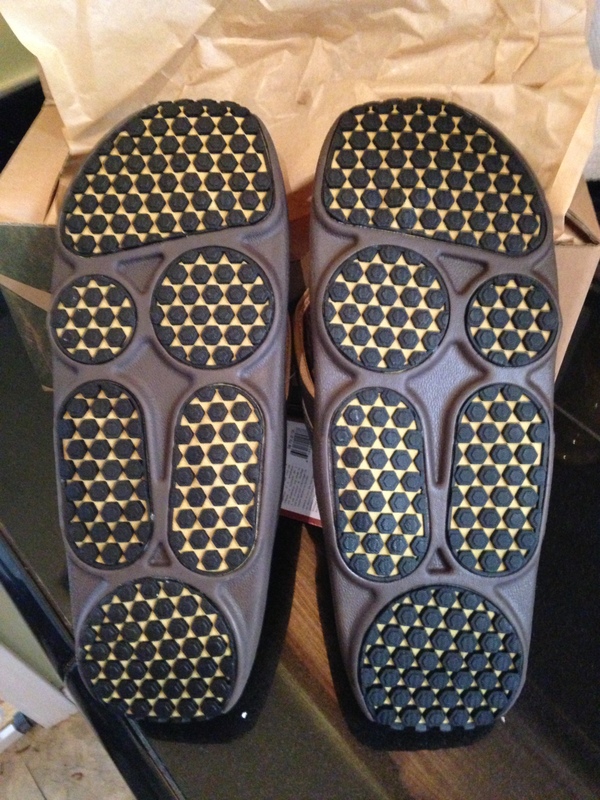 Or maybe this issue will be rectified in the next shoe update. How do you deal with blisters? Have any certain shoes caused more blisters than others? 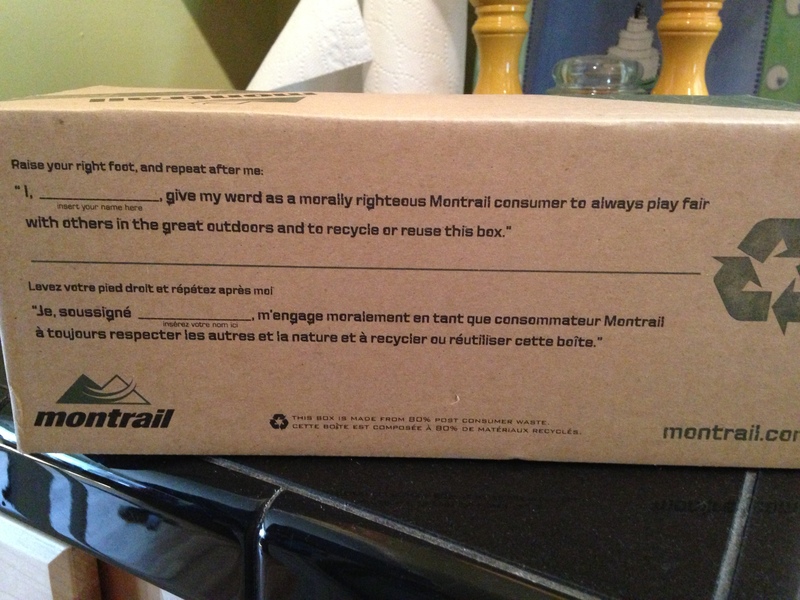 This is going to be a first on my blog, a gear review for something that you do not actually use during a run. 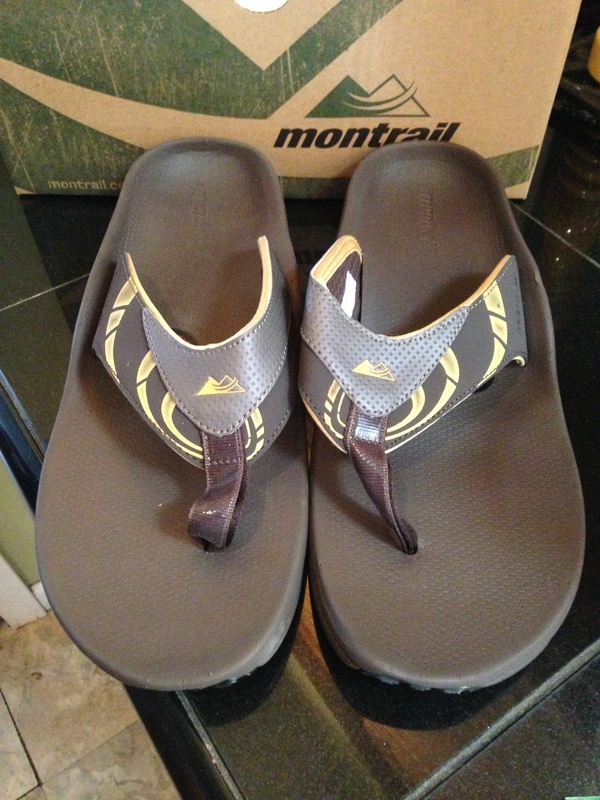 I was on vacation this past week with my wife’s family, and my mother-in-law could not say enough good things about her new Montrail flip-flops. She was turned onto them by a friend of hers that routinely runs ultra marathons and other insane distance races. This woman told my mother-in-law that most runners that see knows where these flip-flops when they are not in their running shoes. In fact, she said that most of them bring the Montrails with them to races and change into them immediately upon completing the race. This type of review definitely had me intrigued, and I was prepped to investigate these flip-flops when I returned home. My mother-in-law is such a fan that she could not stand me not having a pair so she ordered a pair for Susan and me from the beach in Mexico! I will never turn down some free gear, especially some with such a positive review. And it is always great to come home to a present waiting for you, courtesy of the free overnight shipping on Zappos. 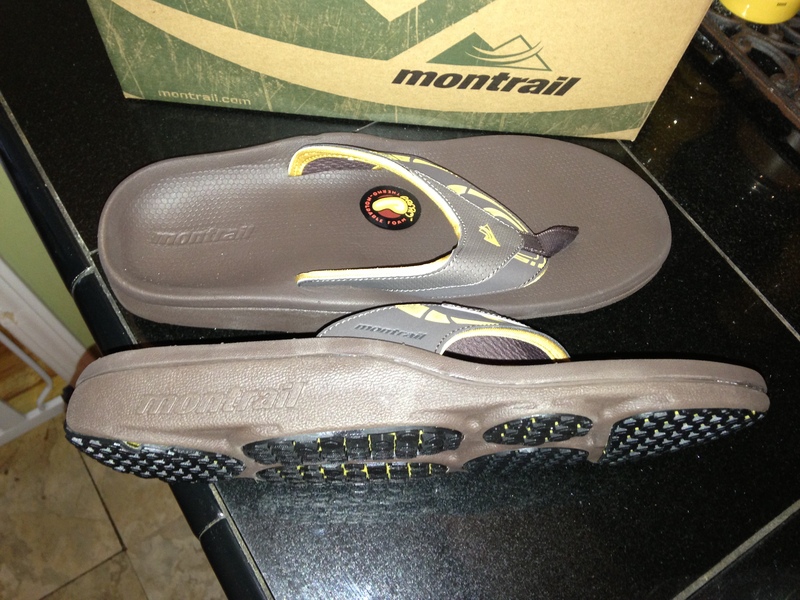 The exact flip-flop that I got is the Molokai, which is a thermo-moldable flip-flop. What makes these flip-flops so great (or so I have been told) is that the sandals mold to your specific foot shape and gait. This is not an easy feat to accomplish in flip-flops. The way this is achieved is through a somewhat unorthodox manner. You use the oven! 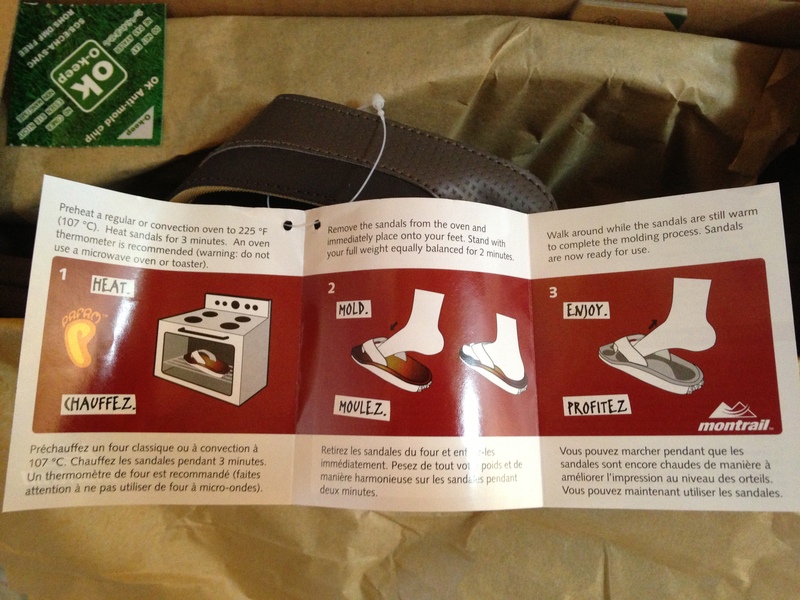 That is correct, you put your flip-flops in the oven at 225 degrees for three minutes, then immediately put them on your feet so that they will mold to your specific foot. You stand in the warm flip-flops for two minutes with your normal, even weight distribution then you walk around for a few minutes in the flip-flops. This helps the shoe provide you more surface area contact between your foot and the flip-flop, this helping create a more comfortable experience. This is perfect for a supinator like myself. These are not leather flip-flops like my current pair of Rainbows, but they certainly are not a cheap plastic like the flip-flops that you get at Old Navy or Wal-Mart. The look and feel of these flip-flops will be suitable for everyday wear, lake use, lounging, poolside, and any other manner that you now wear traditional flip-flops. 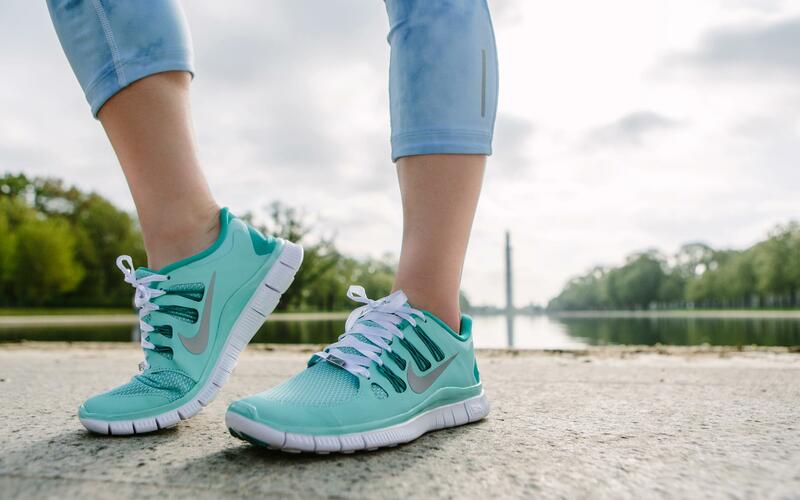 From the looks of the bottom of these, I think that they will hold up for the long haul, and even on a trail or two! Obviously, I have not had these flip-flops long enough to provide an in-depth review, but I can tell you that I have had no complaints over the past four hours or so. I will update on how these flip-flops perform through the summer. I will say that during my small sample size, these have been extremely comfortable and I wish I had these for the last week in Mexico. If you are like me, you wear flip-flops almost exclusively during the summer months, so there should be plenty of data at my disposal soon. Plus, I do imagine that I will be taking these with me to most of my races from now on. 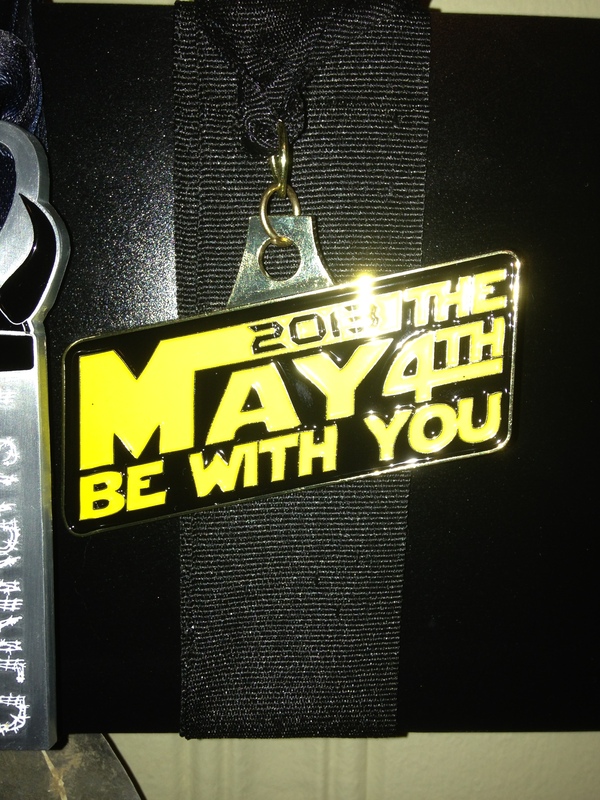 On Saturday, May 4th , I ran in the appropriately named May the Fourth Be With You 5K. This was a virtual race with proceeds being donated to the Leukemia and Lymphoma Society and was geared towards the nerdier sect of runners. May the Fourth is in reference to the Star Wars movie franchise and is a representation of “may the force be with you” which, if you have seen any of the movies, you have definitely heard this phrase before. I ran the race on the streets of my neighborhood on cold and rainy day. It has rained for six straight days here in Memphis, so finding a window to run outside was almost impossible. Here in Memphis, May 4 the past two years have been record setters in the weather almanac. Last year we hit a record high of 91 degrees, and this year we hit a record low of 36 degrees. The 36 degrees also happens to be the lowest temperature ever recorded in the month of May in Memphis! My run felt great, even though I was inches away from being plowed over by a car. About a half a mile into my run, I noticed that I forgot to wear my RoadID bracelet but I didn’t want to head back to the house. Probably two minutes later, I hear a car screeching to a halt to my immediate right. I was running across an intersection with a stop sign when this happened and I certainly had the right of way. When I approached the intersection, there was no cars in sight, so I ran on. Then I heard the noise and noticed the car sliding towards me. Thankfully it did not hit me, but the driver and I did exchange a couple of choice words with one another. What the driver fails to realize is that if I hadn’t been running, he would have run the stop sign and would have met the front bumper of a truck traveling down the other road. But, I do know for future runs, if I forget my RoadID, I will go back home to get it. Besides my run in with this driver, my entire run went well. This was my best run, in regards to pace, since returning from injury. I completed 3.21 miles with a pace of 9:23 per mile. KT Tape is the sixth sponsor for the Platinum Sombrero 5K. The Memphis Tigers have been using KT Tape for years now and I have been very curious about it, so I am thrilled to get a sample to try. KT Tape will be providing a product sample to the first 50 people to register for the race. For those of you who don’t know what KT Tape is, it simply is an alternative to bulky braces, wraps, and pain meds. 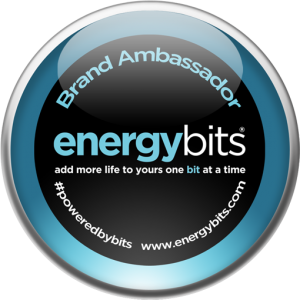 It is “…an alternative that’s used clinically, athlete tested, and used by millions of people world-wide. It’s called KT Tape. KT Tape is lightweight, comfortable to wear, and used to treat and prevent hundreds of common injuries such as knee pain, shin splints, and tennis elbow.” You can find more info by liking them on Facebook. I’m sure that you have seen an athlete somewhere using KT Tape, especially if you watch basketball or the Olympics (think Kerri Walsh and beach volleyball). I didn’t even know the stuff was available to the public until recently, and now I’m thinking that maybe I could have incorporated it into my peroneal tendonitis rehab.